Building Your Author Platform - M.W. 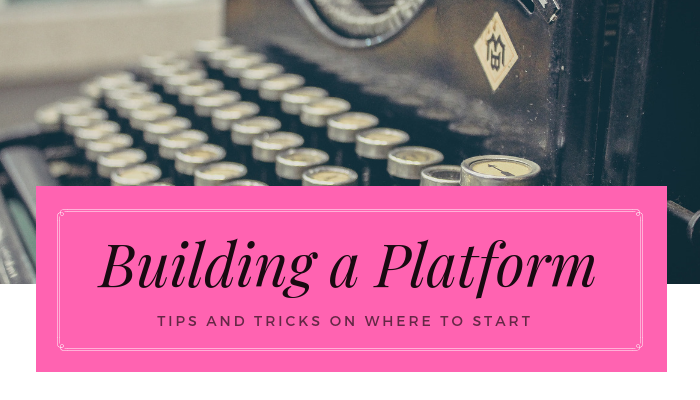 So you want to build your author platform but you haven’t published any books yet? Join the club! Please sign up with Gary, he’s the potted plant in the corner. We don’t have meetings, but we do complain a lot on Twitter. Except not for long. Because I have some tips to help you figure out what and especially HOW to go about your platform. First of all, what is a platform and why do you need one? Simple. Your platform is basically how visible you are, as well as how connected. If you have a large platform, you have a large potential audience. However, you still need the right kind of audience. Not to mention patience, perseverance, and a potted plant named Gary, who provides sarcastic comments. For the right audience you first have to know who you are as an author. Find your (one) genre and make that part of your online presence. If you’re a horror writer you can for instance post about horror films or creepy news articles. Twitter is, in my humble opinion, where it’s at. It is where a lot of bookworms, writers, agents, editors, etc. hang out and it’s the best way to reach out to other people. And for a platform it’s important to connect with others. Agents consider 10k a decent number of followers. (Yes, it’s okay to gasp.) But it’s important to not just follow anyone. If you’re a mystery writer and you follow only shoe salesmen, that seems kind of useless. Unless I didn’t get the memo that they are massively into mysteries. Use hashtags to find an audience that would like what you have to tweet about. I see people who have 50k followers, but zero likes or retweets. Then what’s the point? I immediately wonder if they bought followers, or if they simply just followed random people. Twitter is so powerful, use it the right way. Also, make sure you can still be yourself, but a professional version of yourself. You’re not selling your books, you’re selling yourself. You are the brand. It takes time to build your platform, but research is key. One book that I highly recommend is this one by Chuck Sambuchino. It explains things clearly and covers all the basics, including social media, your website or blog, and general helpful tips. Additionally, if you want a book that has daily challenges to get you started so it won’t feel so overwhelming? Then this book by Rachel Thompson will help. I think I did all the challenges in a few days, but you can take thirty days if you so wish. There are more books, of course, but I haven’t tried those out. You could also look for books that focus on self-publishing, even if you don’t plan on self-publishing. Self-published authors have to rely even more so on their platform, even if it’s only a tiny bit more than for a traditionally published author. Always do your research and check out reviews as well as the authors themselves. It’s important you buy a book from someone who knows their stuff and is therefore reliable. One of the main thing is visibility. Get a Twitter account, get a website, get a Facebook page and engage. Remember it takes time to build a platform so don’t expect miracles, but simply do your research and use that knowledge. Find the right hashtags and get involved with the right people. If you can, collaborate with others or, for instance, ask people to write guest posts for your blog. The biggest tip I can give is that you think about what you can offer others. Whether it’s making people laugh or giving writing tips. You get what you give. Make sure you have the same profile picture and bio so that you’re easy to find and really consider the way you want to portray yourself. What do you want people to think about when they think about you? And keep that in mind every time you tweet or post something. Finally, here is a list of other blogs that allow guest posts. Put yourself and your writing out there! There are also plenty of articles to browse, but I found the books I mentioned to be more helpful than any articles. Read them and take from it what you need. Do you have any other helpful recommendations or tips to share?